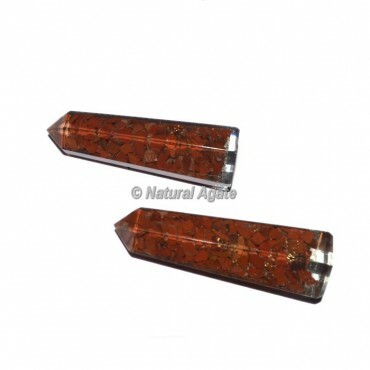 Exclusive collection of Red Jasper Orgone Obelisk Point available in wide range. It brings passionate stability.It is ends up being valuable amid times of pressure and unfriendly situations. This red jasper orgone is gives the best healing experience in body and mind. Place the order as soon as possible.